Over the past year, I have conducted some great investigations and collected many EVPs or Electronic Voice Phenomena. Some of my EVPs are really clear, while others are quite interesting. 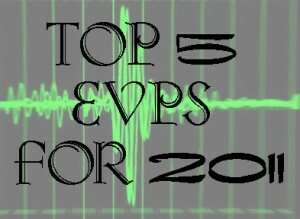 I wanted to share with you what I thought were my top 3 favorite EVPs for 2010. These EVPs can be found on the evidence pages. 1. Fort Mifflin – Casemate 11 – You can’t help but here the prisoner’s response to my question. “Here” is clear and would be considered a Class A. He definitely wanted us to know that he was present. 2. The Church – Cassandra – Although we received several EVPs from her during our investigation, I still can’t get over the one where she says my name, “Cindy.” It showed me that she knew who I was even after all these years. It provided me with definitive proof of things I knew existed since I was little. Stay tune in 2011 to see the fabulous locations I have in store to investigate along with stories from years past. 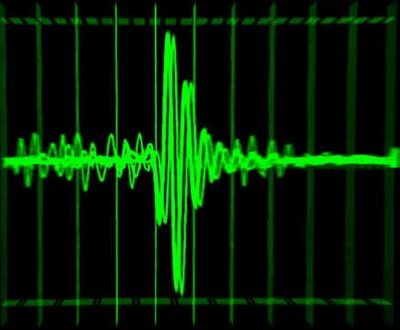 For those of you who may not know what an EVP is an EVP – or Electronic Voice Phenomena – is a mysterious event in which human-sounding voices from an unknown source are heard on recording tape, in radio station noise and other electronic media. 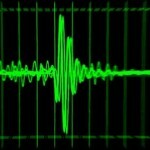 Most often, EVPs have been captured on audiotape. The mysterious voices are not heard at the time of recording; it is only when the tape is played back that the voices are heard. Sometimes amplification and noise filtering is required to hear the voices.